Rockhold was born in the Bay Area city of Santa Cruz, California and hails from an athletic family. Growing up, Luke and his older brother, pro-surfer Matt Rockhold, surfed their local breaks together. His father was a professional basketball player in Europe and his mother was an avid tennis player. Luke started training in judo when he was 6 years old but quit upon turning ten. When he entered the seventh grade, he joined his school’s wrestling team and stuck with the sport all through Soquel High School while taking jiu-jitsu classes. Rockhold tried wrestling for a local community college but decided to take jiu-jitsu on full-time. After winning a few BJJ tournaments, he decided to enter mixed martial arts. In 2006, a friend invited Rockhold to train at the American Kickboxing Academy (AKA) in San Jose, California. His raw talent and kicking displays immediately caught the eye of AKA head coach Javier Mendez, who touted Rockhold as a potential future champion. In July 2007, Rockhold made his professional debut against Mike Martinez for the Melee on the Mountain promotion. Rockhold dominated the fight and won via armbar submission midway through the first round. In his second fight for the promotion, in November 2007, Rockhold was defeated by Tony Rubalcava via TKO. Up-and-coming promotion Strikeforce called and offered Rockhold a fight on their Strikeforce: Young Guns II card. Rockhold looked impressive in his debut, forcing his opponent to submit from punches. Impressed with his performance, Strikeforce decided to give him another fight. The second fight took place on the Strikeforce: Destruction card, which Rockhold won via submission. At Strikeforce: Shamrock vs. Diaz, Rockhold won his third consecutive fight. Rockhold was given a step up in competition when he fought Cory Devela at Strikeforce Challengers: Villasenor vs. Cyborg. Even though he was the underdog going into the fight, he won that fight in just 30 seconds with his third rear-naked choke submission in a row. At Strikeforce Challengers: Gurgel vs. Evangelista, Rockhold defeated The Ultimate Fighter 7 contestant, Jesse Taylor. The fight improved his record to 5–0 under the Strikeforce banner. In February 2010, Rockhold defeated another Ultimate Fighter 7 finalist, Paul Bradley, and won via TKO (knees to the body). The fight took place at Strikeforce Challengers: Kaufman vs. Hashiin San Jose, California. With the win, Rockhold hoped to fight against tougher and well-known fighters. In addition to the win, Rockhold was announced as a playable character for the EA Sports MMA video game. Rockhold was scheduled to fight Matt Lindland at Strikeforce: San Jose but pulled out a few weeks before the fight due to a shoulder injury. Rockhold was expected to face former title contender, Tim Kennedy, at Strikeforce 32; however, for unknown reasons, Rockhold was removed from the bout. After more than a year and a half hiatus from fighting due to injuries, Rockhold stepped into the cage to fight Strikeforce Middleweight champion Ronaldo Souza on September 10, 2011. He won the fight via unanimous decision (50–45, 48–47, and 48–47) to become the new Strikeforce Middleweight champion. For his first title defense, Rockhold faced Keith Jardine at Strikeforce: Rockhold vs. Jardine on January 7, 2012. Rockhold won the fight via TKO in the first round. In his second title defense, Rockhold faced Tim Kennedy in the main event of Strikeforce: Rockhold vs. Kennedy on July 14, 2012. During the weigh-ins for the bout on July 13, Rockhold came in a half-pound overweight. Rockhold cut the extra weight in the allotted two-hour limit. He successfully defended his title for a second time, winning the fight via unanimous decision. For his third title defense, Rockhold was expected to face challenger Lorenz Larkin at Strikeforce: Cormier vs. Mir on November 3, 2012 in Oklahoma City, Oklahoma. However, Rockhold was forced to withdraw from the show due to injury and the event was later cancelled. The fight was rumored to be rescheduled on January 12, 2013. however, Rockhold never agreed to the bout, citing a lingering shoulder injury. In January 2013, the Strikeforce organization was closed by its parent company Zuffa. A list of fighters scheduled to be brought over to the Ultimate Fighting Championship was released in mid-January and Rockhold was one of the fighters listed. Rockhold faced perennial multi-divisional contender Vitor Belfort on May 18, 2013 in the main event at UFC on FX 8. He lost the fight via knockout in the first round, after being caught with a spinning heel kick to the face. Rockhold was expected to face Tim Boetsch on October 19, 2013 at UFC 166. However, Rockhold was forced out of the bout citing a knee injury and was replaced by C.B. Dollaway. Rockhold faced Costas Philippou on January 15, 2014 at UFC Fight Night 35. He won via TKO in the first round after dropping Philippou with a kick to the body. The performance also earned Rockhold a $50,000 Knockout of the Night bonus. Rockhold eventually faced Tim Boetsch on April 26, 2014 at UFC 172. He won the fight via submission in the first round. Rockhold faced Michael Bisping on November 8, 2014 at UFC Fight Night 55. He won the fight in the second round after dropping Bisping with a head kick and then applying a guillotine choke submission. The win earned Rockhold his first Performance of the Night bonus award. On April 18, 2015, Rockhold faced former UFC Light Heavyweight Champion Lyoto Machida at UFC on Fox 15. Rockhold defeated Machida in a one-sided fight via submission in the second round. Rockhold also earned his second consecutive Performance of the Night bonus award. Rockhold next faced Chris Weidman for the UFC Middleweight Championship on December 12, 2015 at UFC 194. In the third round, after a competitive first two rounds, Rockhold capitalised on a missed Weidman wheel kick by taking him down into the back mount and passed to full mount where he delivered heavy ground and pound to the champion. Weidman was able to make it to the end of the round but had sustained heavy cuts and damage from Rockhold’s ground and pound. In the fourth round, Rockhold kept pressing with punches and secured a successful take-down and after passing into full mount, delivered more ground and pound to win the fight via TKO in the fourth round and became the 7th middleweight champion in UFC history, thereby ending Weidman’s undefeated reign in the UFC. Both participants were awarded Fight of the Night honors. In the post-fight interview, Rockhold illuminated his struggles prior to the fight battling a staph infection and being on antibiotics which made him exhausted during the later rounds of the fight, but nevertheless he was able to come out victorious. 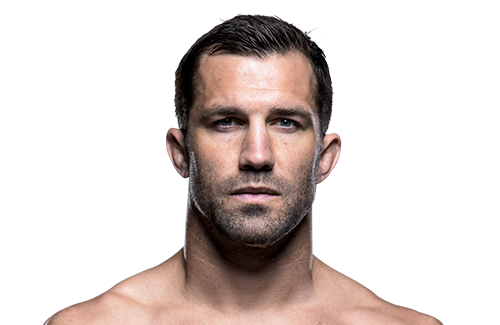 Being a Santa Cruz native and becoming the UFC Middleweight Champion, his hometown Santa Cruz, California, proclaimed December 18, as Luke Rockhold Day crediting his victory and achievements. A rematch with Weidman was scheduled to take place on June 4, 2016 at UFC 199. However, Weidman pulled out of the fight on May 17 with an undisclosed injury and was replaced by Michael Bisping. His title match against Bisping ended in the first round when Rockhold was dropped with a left hook and finished with a flurry of punches against the cage. This result was considered by many in MMA media as one of the biggest upsets in the UFC title fight history, Bisping being a huge underdog because he took the fight in only 10 days and had been submitted by Rockhold 18 months earlier. Rockhold was expected to face Ronaldo Souza in a rematch on November 27, 2016 at UFC Fight Night 101. However the pairing was cancelled on November 1 after Rockhold was ruled out of the contest after sustaining an undisclosed injury. As a result, Souza was also removed from the card. Rockhold was scheduled to fight on February 10, 2018, at UFC 221 against UFC Middleweight Champion Robert Whittaker. 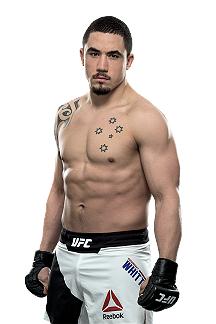 On January 13, 2018, it was reported that Whittaker pulled out from his bout against Rockhold at UFC 221 due to a serious condition of staph infection. 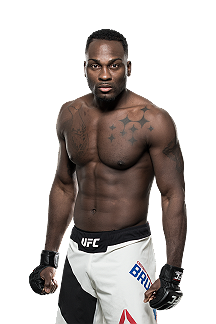 He was replaced by Yoel Romero in a bout for the new Interim UFC Middleweight Championship.The winner of this bout would then face Whittaker for a title unification bout. 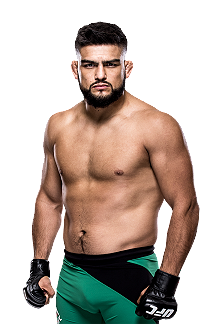 At the UFC 221 the weigh-ins, Romero weighed in at 187.7 pounds, 2.7 pounds over the middleweight championship limit limit of 185 pounds. As a result, Romero was ineligible for the championship title even if he won the fight, while Rockhold would have received the Interim Championship if he had won. Romero was also be fined 30% of his purse, which went to Rockhold. After a slow start, Romero knocked Rockhold out in the third round. Rockhold was briefly linked to a light heavyweight bout with Alexander Gustafsson on August 4, 2018 at UFC 227. However, Rockhold later re-injured his leg in training and the fight was scuttled. A rematch with Chris Weidman was expected to take place on November 3, 2018 at UFC 230. However on October 19, 2018 It was reported Luke withdrew from the bout, citing injury, and he was replaced by Ronaldo Souza.